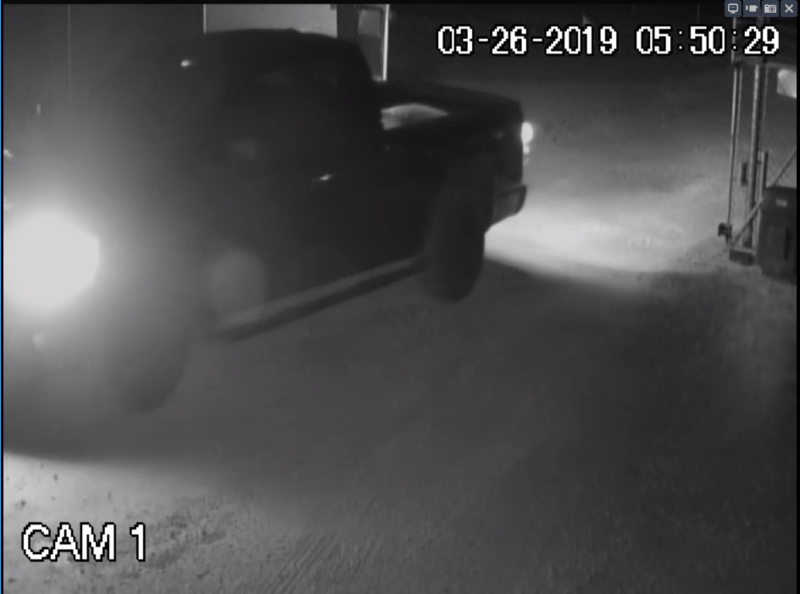 On 3-26-2019 at 5:50 a.m., the vehicle pictured above was involved in the theft of a tractor and trailer from WhatEver Storage located at 490 Tolle Road in Cibolo. 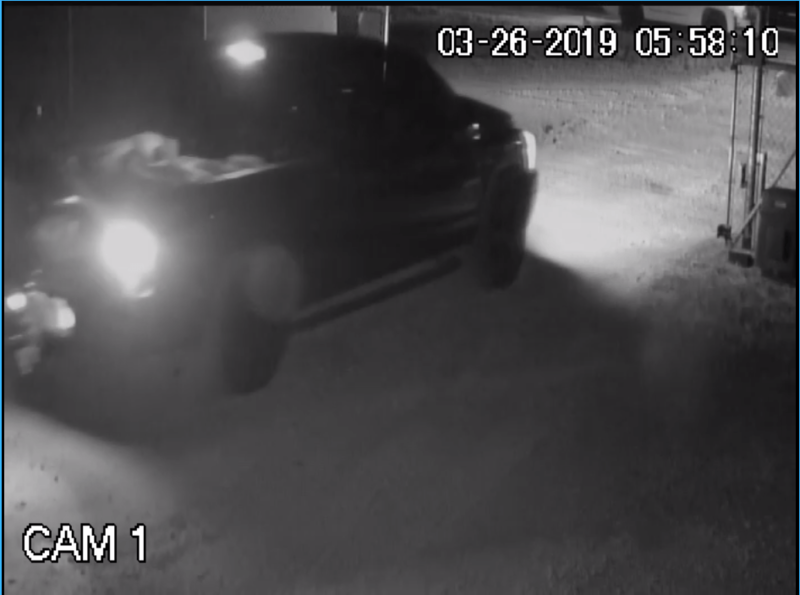 The vehicle appears to be a Dodge Ram pickup truck with black rims and running boards. 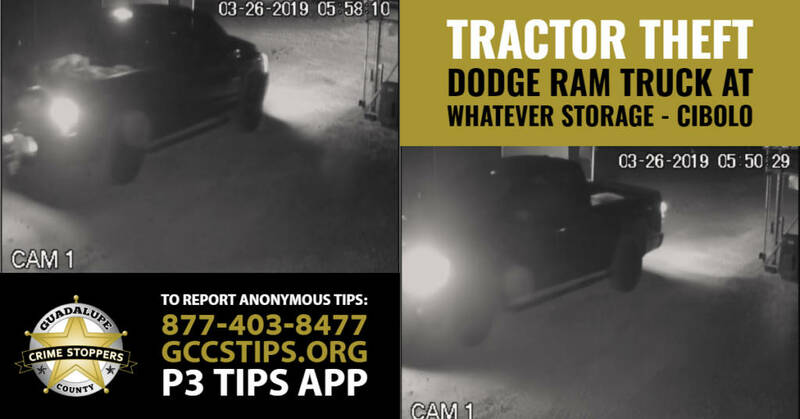 Anyone who has information regarding this investigation and wishes to remain anonymous, please contact Guadalupe County Crime Stoppers at 877-403-TIPS (8477). You can also submit a tip online at ww.gccsTIPS.org or P3 Tips App. All information received through Crime Stoppers will remain anonymous.